Wisden Cricketers' Almanack has become known as `cricket's bible', and in 2013 it celebrates its 150th anniversary. Many of its traditions are of great significance to all fans of the sport, and its annual nomination of the Cricketers of the Year is cricket's equivalent of the Oscars. Beginning in 1889 with the honouring of Six Great Bowlers of the Year, the Almanack's announcement of the Cricketers of the Year has been a hotly debated highlight of the cricket season ever since. For the first few years the number of cricketers chosen annually varied between one and nine, but the number soon settled at five. The key criterion for selection is `excellence in and/or influence on the previous English cricket season', and no cricketer can be chosen twice. So with a new five chosen every year Wisden has, through its contemporary rather than retrospective judgement, built cricket's most authoritative `hall of fame'. It is the oldest accolade in cricket, and the 2013 edition of the Almanack, raises the total number of Cricketers of the Year to 570. 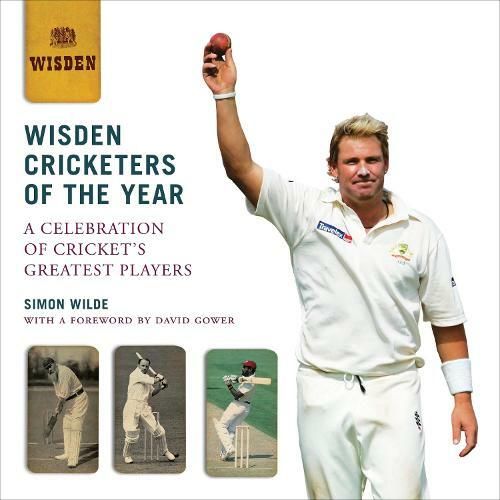 Wisden Cricketers of the Year is the first ever book about all the cricketers who have been honoured by Wisden. Written by Simon Wilde, cricket correspondent of the Sunday Times, and containing photographs of all 570 players, this book explains why each was chosen. Philip Bailey's statistics complete the comprehensive package. Published as part of Wisden's 150th anniversary celebrations, Wisden Cricketers of the Year is a handsome, large-format volume and an essential addition to the library of anyone interested in cricket, past and present.